Can a two-year-old survive on bread alone?How do you set boundaries for a three-year-old, and should you?What about TV, tidiness or punishment?After the challenges of the first year of a baby's life, many parents might feel that things should settle down a little. The opposite is normally true! Years one to four throw up many more questions with which lots of parents struggle. 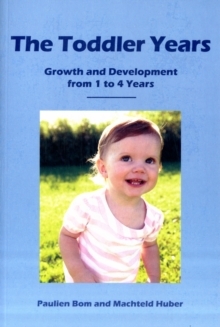 This practical guide takes a holistic approach to the growth and development of a toddler. Written by doctors qualified in both conventional and anthroposophical medicine, it deals with all aspects of the care of a child up to the age of four. Broken down into short, comprehensive chapters spanning different periods of development, it covers issues such as eating, diet and growth, common ailments, behaviour and discipline, personality, and the development of creative and practical skills. For first-time parents of a toddler, this book is an ideal reference and life-saver in tricky situations. Veteran parents may find its alternative, holistic approach refreshing in comparison to other standard texts. This book is a companion to Baby's First Year, and the bestselling A Guide to Child Health.